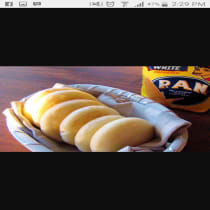 Not only of Arepa (south american bread) will man live, but of every word of God. This is basically a food joint I want to start, but also an opportunity to spread the word of God by offering free scriptures, similar to Fortune cookies that come with a small paper sheet with a message in it. I call it the "promise cookies". The food will be called "Meat Me In The Middle". The main food that I'll be selling is South American Food. I have been planning for this business venture for over a year, but saving money is difficult when there are so many people in need, and like Jesus says, give to those that ask and are in need. The whole project is estimated to cost around 12.000,- Euros ....I have two partners willing to give out 3500 each....which makes it 7000 euros that are currently available. so I am 5000 euros short. The whole goal of the business is to give the word and give back to the poor and help the needy while at the same time making the best Arepas in the world and having Jesus and the holy spirit as our main chef kok and business partner.